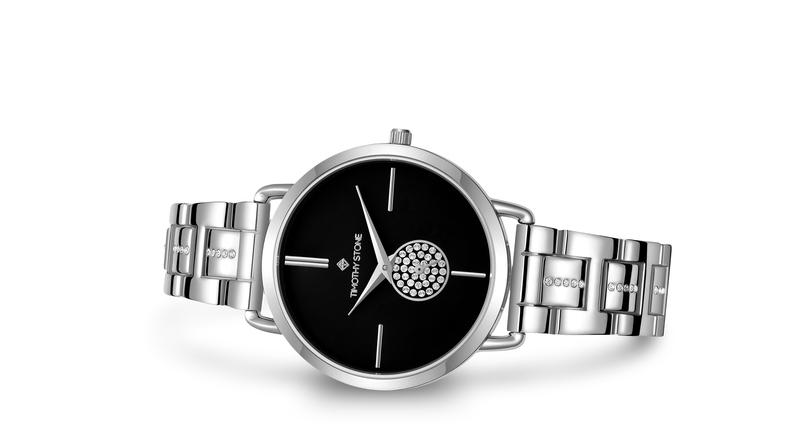 Smartly encircling your wrist, the Riviera Collection watches combine understated elegance with fluid lines. The pairing of simplicity and sophistication encompasses the smooth ring of the bezel, tapered dauphine watch hands as they sweep hourly across the jet black face, and petite secondary dial pavé set with brilliant Swarovski® crystals, as the seconds tick by. The theme continues across the metal fold-style bracelet with its glittering stripe of Swarovski® crystals on either side of the watch. The Riviera Collection is available in rich polished yellow, pink or white gold alloy finish, as well as the super-sophisticated Timothy Stone limited edition version with polished yellow gold finished bezel and dauphine hands, solid royal blue face, and matching genuine leather watch strap. Smartly encircling your wrist, the Riviera Collection watches combine understated elegance with fluid lines. 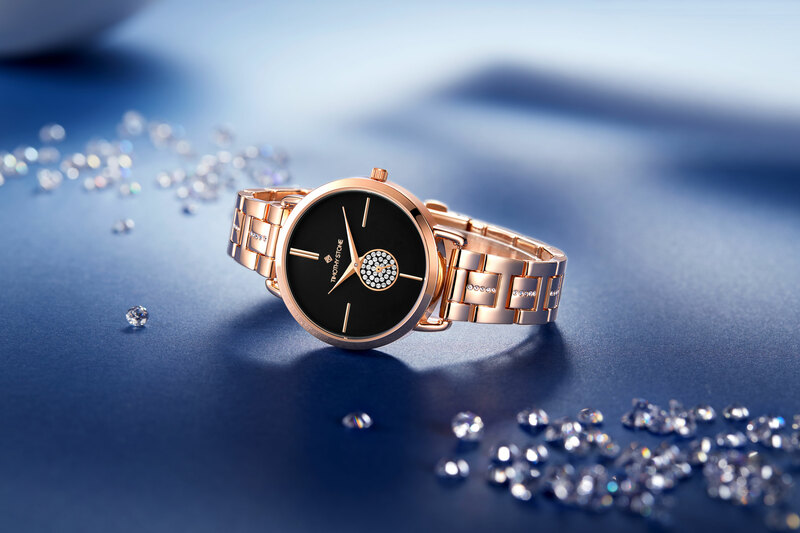 The pairing of simplicity and sophistication encompasses the smooth ring of the bezel, tapered dauphine watch hands as they sweep hourly across the jet black face, and petite secondary dial pavé set with brilliant Swarovski® crystals, as the seconds tick by. The theme continues across the metal fold-style bracelet with its glittering stripe of Swarovski® crystals on either side of the watch. 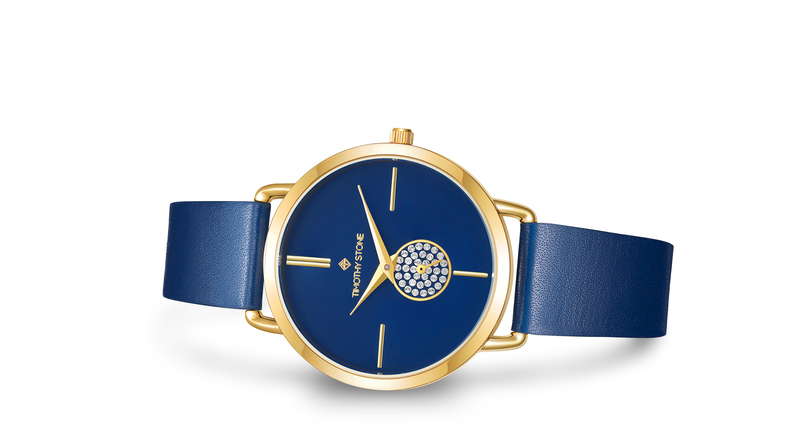 The Riviera Collection is available in rich polished yellow, pink or white gold alloy finish, as well as the super-sophisticated Timothy Stone limited edition version with polished yellow gold finished bezel and dauphine hands, solid royal blue face, and matching genuine leather watch strap.